Effective June 24, 2010, there will be a $15.00 surcharge on all boarding reservations made less than one week in advance. Since our staffing schedules are created one week out, last minute boarding reservations often create a hardship in terms of scheduling additional staff. We appreciate your understanding and cooperation in this matter. 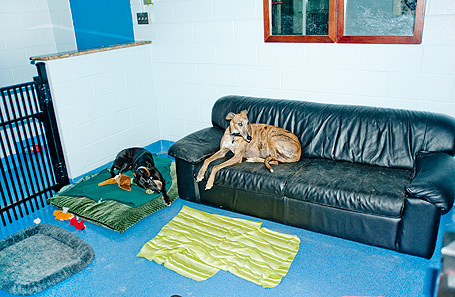 Also, our three interior turnout areas and our 'Senior Room' can now be reserved for boarding, if available. 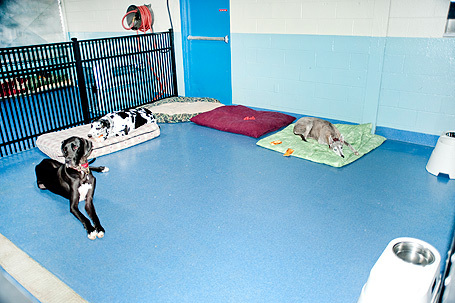 These rooms provide a clean, large open area for multiple dogs to rest, play and be fed in. 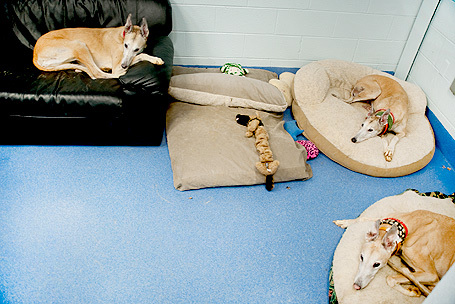 We suggest these areas for families of dogs that are boarding or for senior dogs who may have trouble getting in and out of our regular runs. 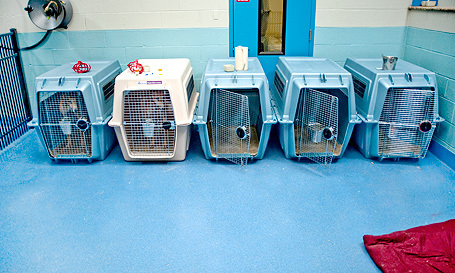 The cost to reserve any of these areas is $20.00 per day, per pet family, in addition to our regular applicable boarding charges. 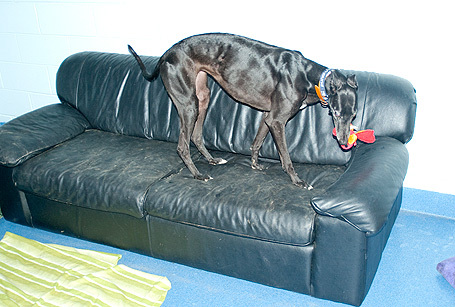 These areas will be reserved on a first come, first served basis. 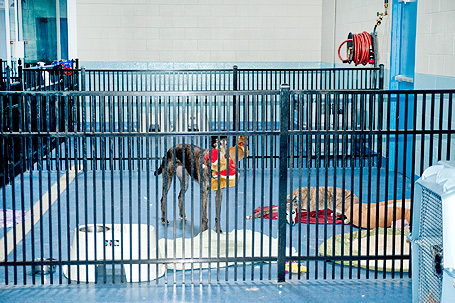 Top: For safety purposes, families of dogs can be crated for mealtimes. We want to make sure all of our boarders get their fair share of food!